First of all, I passed my big test. Hooray! It was quite an ordeal but I got through it, got slightly drunk, and aggressively threw my study guide in the trash. Over it. 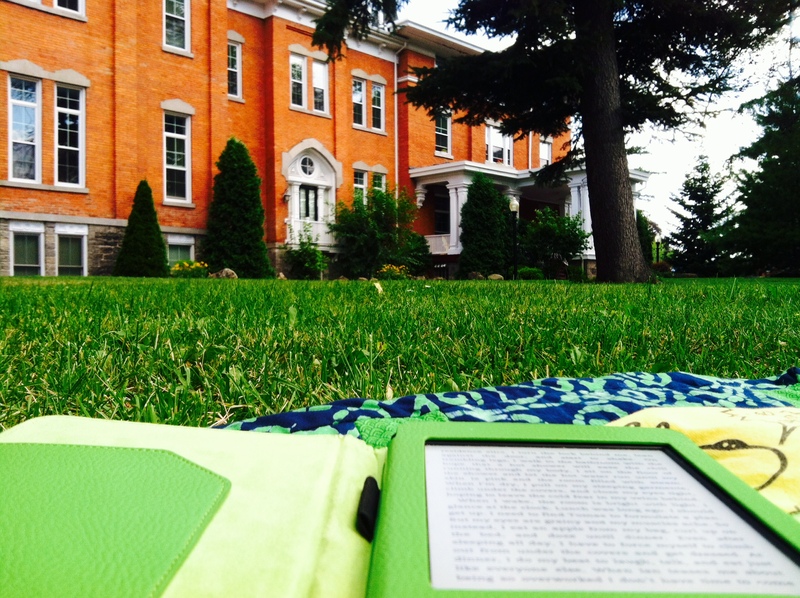 I rewarded myself with some serious Kindle time in front of my building on Sunday (latest read- Independent Study by Joelle Charbonneau, sequel to The Testing– highly recommend if you’re into the Divergent or Hunger Games series). Green will be a theme of this post. When I was at Wegmans last week, avocados were either 2 for 4 dollars, for 4 for 5 dollars. Someone explain this math to me. I bought four, obviously. What is one average-sized human to do with four, rapidly ripening avocados? Throw them into recipes with some acid so that they won’t turn brown. Tonight’s trip to Wegmans entailed a hunt for arugula and whole wheat linguine to complete this recipe. I was helllll bent on making this with whole wheat linguine. I ended up having to buy the organic kind because that’s all they had. Now that I sort of have a real job I guess I can swing an extra 89 cents here and there. Next to my organic whole wheat pasta? Two large jars of peanut butter and all the ingredients for chicken wing dip. 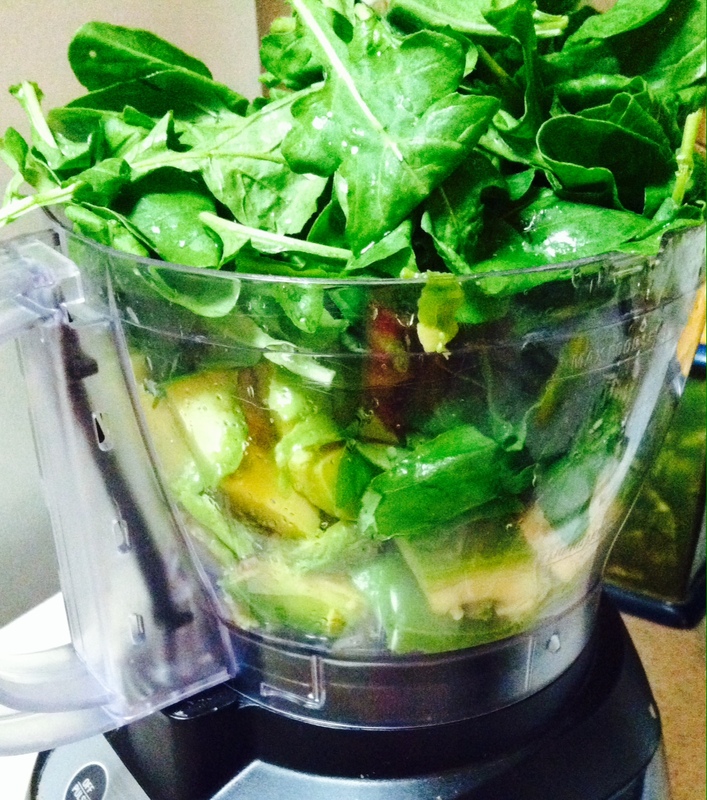 This is clean eating. 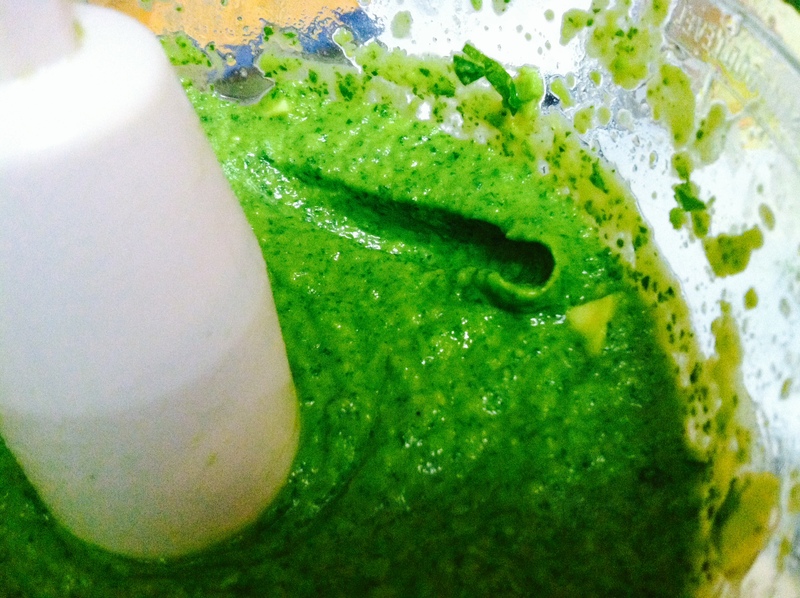 It seems better once we cram a bunch of green stuff in a food processor. Cooking for one means taste testing with your finger and not feeling bad about it. Cook the pasta according to package directions. 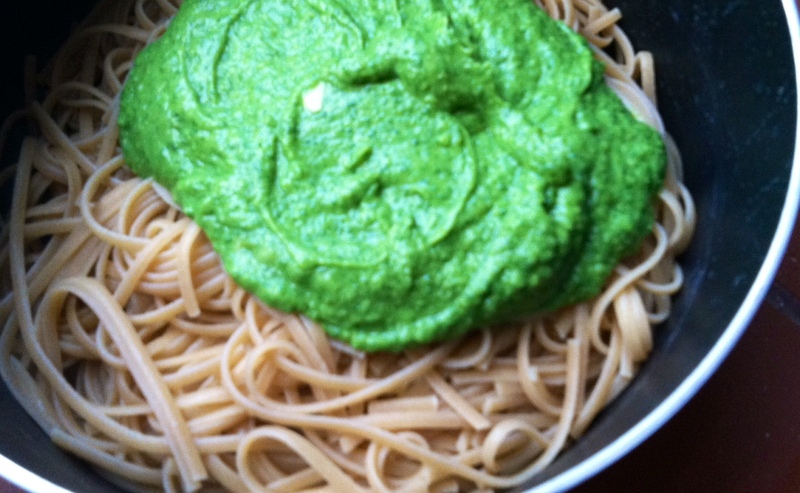 Combine pesto ingredients in food processor, adding a little pasta water to thin it out. 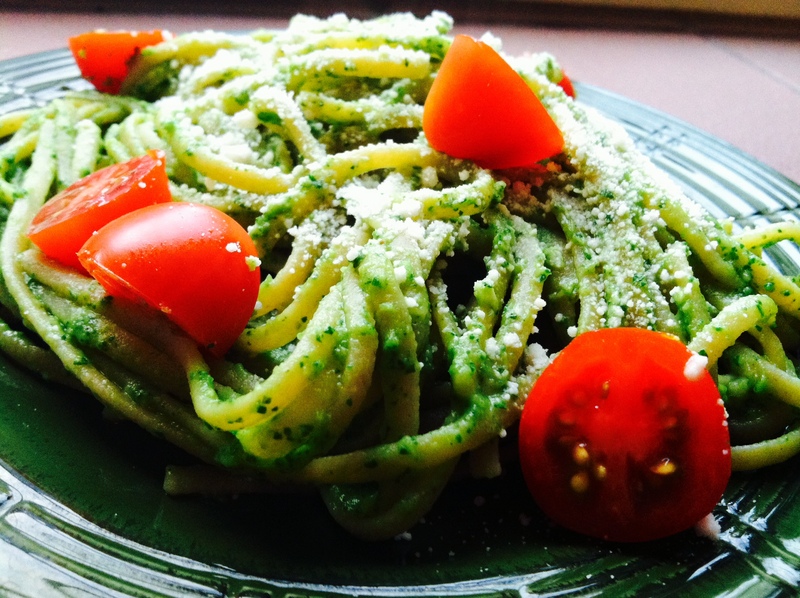 Toss the pasta with the pesto. I added a few grape tomatoes and some Parmesan cheese to mine because these are a few of my faaaavorite things. I’m really excited to eat this cold for the next 6 days. I think it will be sublime. Are you waiting for a picture of Kermit the Frog? Because I kind of am.